Making profit is not the only aim of doing business. There is a more important function consisting in business responsibility for the state of things in the society as a result of success or absence of success of a particular type of business activity. The number of rich and poor people in the country strongly depends on business efficiency and on business contribution to the national economy. By business social responsibility we mean charity, corporate social responsibility, social programs support and sponsorship. A successful business implies a two-way interaction, respect to ethics and respect to everyone affected in this or that way by company’s operations. For NIIK these are first of all company’s employees. Every company shall make a contribution in helping those who really need it. NIIK is not an exception from this rule. Material aid is annually rendered to dozens of organizations including medical and education facilities, sports and culture organizations, veterans associations. Special attention is paid to organizations working with children including orphanages, sports and general education schools. NIIK personnel training policy contributes to a better self-development and self-fulfillment of the company’s specialists and allows the employees to gain new unique knowledge. There are various types of training for different personnel groups. First of all, a theoretical course has been developed for new employees ensuring their better adaptation in the company and familiarization with NIIK history, engineering process structure, urea and urea plants specific features. Such a useful and efficient training system as mentorship is applicable in NIIK. Every new company employee is assisted by an experienced specialist, a mentor, in understanding work particularities. There is a general form of long study for specialists – obtaining a second higher education or a doctoral degree. NIIK employees constantly upgrade their skills during training courses, workshops, panel discussions dedicated to the specific features of their work. Lately such a new form of training as webinar has become popular. Internal training courses aimed at the enhancement of management skills of the company’s personnel reserve are frequently held in NIIK. In order to help NIIK specialists overcome language barriers, internal training to English is organized annually. In order to adapt NIIK designs to the customers’ requirements and convert them into 3D format training courses on new software are held. Company employees get certified in industrial safety, complete advanced training courses in accordance with the state program and after that they get certified in accordance with SRO (Self-Regulatory Organization). The management of the company undergo MBA training. The senior managers owing to the specific nature of their work get personal coaching and take specialized Executive MBA training courses. The aim of NIIK corporate policy is creation of a strong company with distinctiveness and corporate soul. The essential feature of NIIK corporate policy is its openness. We are ready to share our experience with our partners and customers and are open to learning new information, knowledge and news. During local and international exhibitions and conferences NIIK team is always distinguished by unique corporate style and application of corporate branding. There are various traditions in our company. Company’s anniversary and traditional calendar holidays (the New Year, Defender of the Motherland Day, International Women’s Day, Chemists’ Day, participation in demonstrations) give the company’s employees the opportunity to realize their creativity, create a cohesive team and an opened and friendly atmosphere. Continuity of generations is essential for the company, and specialists’ children often extend the family dynasty and choose working for NIIK. NIIK management pays great attention to new joiners and their adaptation in the company that’s why meetings of the management and new employees are organized quarterly. An extensive program has been developed for the young company’s specialists. Cooperation of experienced mentors and creative young people gives wonderful opportunities for studying and promotion. “The best young specialist” contest is held annually for the young specialists to approve themselves. NIIK organizes Welcome Days for students and pupils, participates in career fairs. Another NIIK heart-warming tradition is respect to the past and to company’s veterans. Individual support, congratulations, Victory Day celebration, Day for the Elderly, company’s anniversary are traditional for NIIK. NIIK is a company with rich history which is reflected in the pages of corporate editions: historical digest, issued for company’s 55th anniversary, two-volume book “NIIK. We are 60! Biography of projects” and “Biography of persons”, "65-year journey! NIIK - way to project engineering", and in the company museum. Taking into consideration the fact, that a corporate newsletter inspire the personnel and promote the ideas and the achievements of the company, in year 2007 NIIK started issuing a corporate page in city newspapers “Dzerzhinets” and “Dzerzhinskoe vremya”. In year 2011 the company started issuing its own corporate newspaper “Engineering renaissance”. Other corporate traditions include photo contests and contests devoted to other hobbies of the employees and their family members. Announcement of the results of competitions, recognition and awarding of the participants and the winners, exhibition of the best works are mandatory attributes of every contest. Nowadays corporate culture is the formula for success of the company. 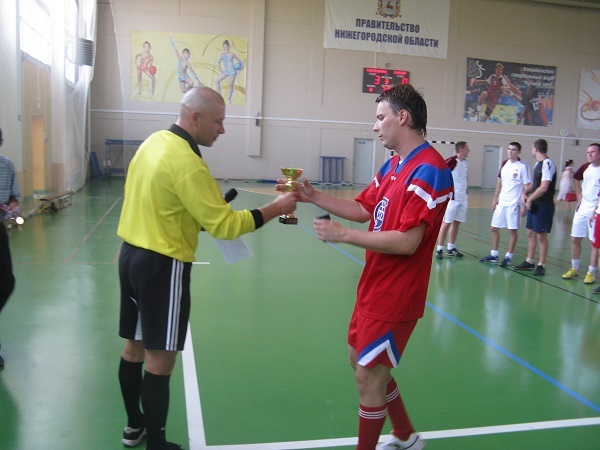 Various sports events are held in NIIK making a contribution in the employees’ health. Nowadays more than a half of NIIK specialists regularly take physical exercises and every fifth employee goes in for a certain kind of sports. Annually over a half of employees take advantage of discounts for going to the swimming pool and for attendance of medical rehabilitation centers for musculo-skeletal system disease prevention which is paid by the company. There is a company-owned sports and fitness complex where the company employees play volleyball, futsal, ping pong, do aerobics, workouts (the workout room is equipped with up-to-date cardio-vascular machines, a treadmill and an exercise bicycle), practice air rifle shooting. Participation of our teams in the city Spartakiads is always an important event for the company and NIIK teams are traditionally in the list of winners. Various corporate competitions with participation of the colleagues from other city companies in different kinds of sports are held in NIIK for example on a Chemists’ Day and Company Anniversary. We believe that a good employee means a healthy employee, that’s why the issue of employees’ health is paid great attention to. Medical inspections are held in accordance with the Labor Code of the Russian Federation based on the rules established by order № 302н of the Ministry of Health and Social Development of the Russian Federation. Depending on the employees’ work experience NIIK pays up to 80% of the price of vouchers in health resorts located on the Black Sea coast, in Belarus, Kirov, Chuvashia, Nizhny Novrogod region and other regions. The company compensates for up to 70% of the price of children’s holidays in health resorts and recreation camps. Diversified leisure activities help work more efficiently and develop creativity. The major emphasis in the personnel leisure time and health improvement policy is put on the family participation. Company employees and their family members participate in picnics, Neptune’s days and sport relays with great enthusiasm. On weekends company employees and their family members visit “Trud” ice skating rink located in Nizhny Novgorod and sports and recreation center “Oka”. They go summer fishing and winter fishing, pick mushrooms. On the New Year’s Eve children always go to one of Dzerzhinsk or Nizhny Novgorod theaters and receive sweet gifts. Leisure activities include as well various excursion trips to Russia’s historical places of interest, visits to the theaters and concerts organized and partly paid for by NIIK. Eventful life and good physical fitness are the targets fixed by the management and are key to the success of the employees.